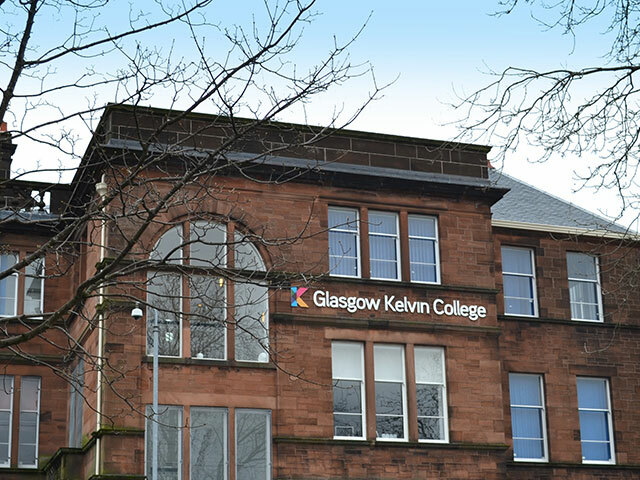 Glasgow Kelvin College (GKC) is the newest of Glasgow’s three regional further education colleges. Constructed using red sandstone in 1905 for Maryhill School Board, the building was first known as the Garrioch Public School. Today, formed by the merger of John Wheatley, North Glasgow and Stow colleges in November 2013, GKC can now ensure that students benefit from a high-quality learning environment. In 2017, a major £1m refurbishment project was undertaken at the college. 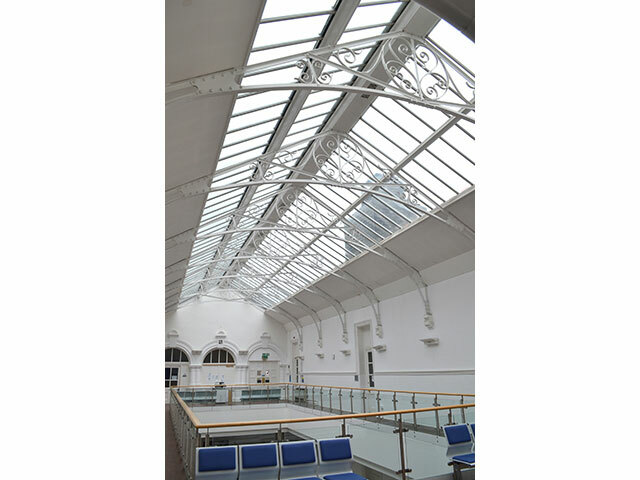 The scope of works to the Category B listed building included refurbishment to roofs, pathways, ramps and drainage problems as well as listed buildings works, including slating, stonework, leadwork, glazing/windows and timber preservation for the treatment of dry rot and timber decay. 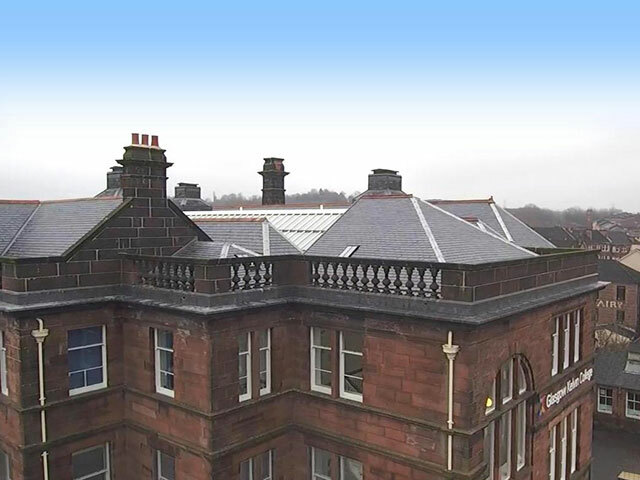 DM Roofing & Roughcasting Ltd of Kilmarnock tendered successfully and were appointed as roofing contractors to this conservation project. Roof work needed to be carried out during the summer recess in an extremely tight time period over seven weeks and was completed in September 2017 in good time for the autumn term. 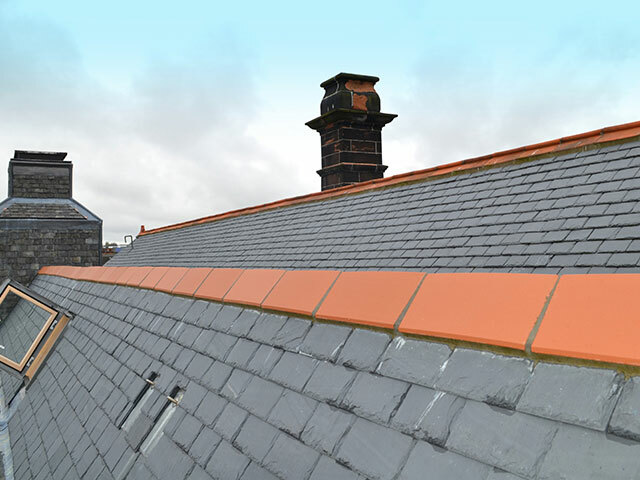 The first task was to remove all existing slates and inspect their condition with a view to salvaging and reusing as many as possible where they were found to be in good condition. 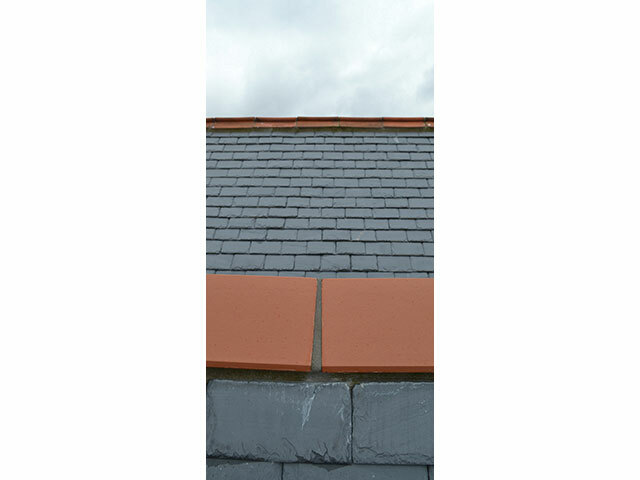 Some 25% of slates, lead and clay ridge tiles were re-used. A small area of the car park was allocated for the sorting and re-holing process together with the storage of new deliveries. 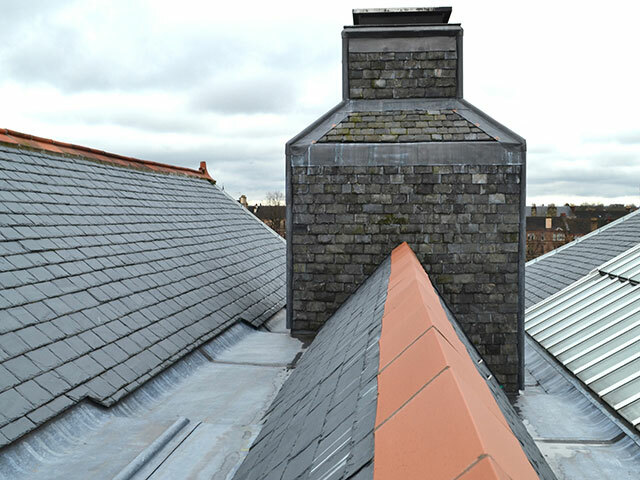 There was a requirement to supplement the quantity of reclaimed slates and samples of SIGA 120 were provided to Iain Gordon, Head of Facilities and Environmental Sustainability at GKC. SIGA 120 from the Excellence range was selected as the best match for the existing material in terms of thickness, colour and sizes. 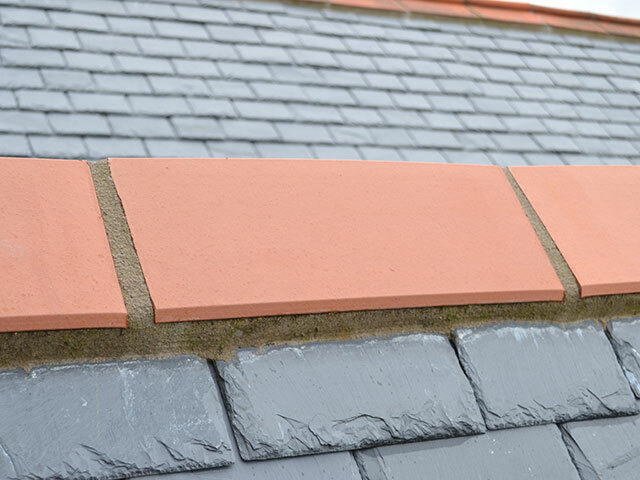 DM Roofing’s quantity surveyor Kenny Dunlop said; “We definitely prefer working with the SIGA slate range and have used a wide range of their slating and tiling materials over the years. 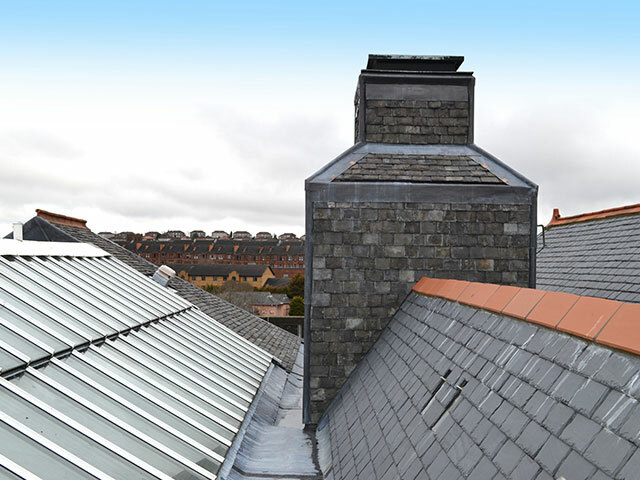 Our skilled roofers find SIGA slates of a good workable quality. 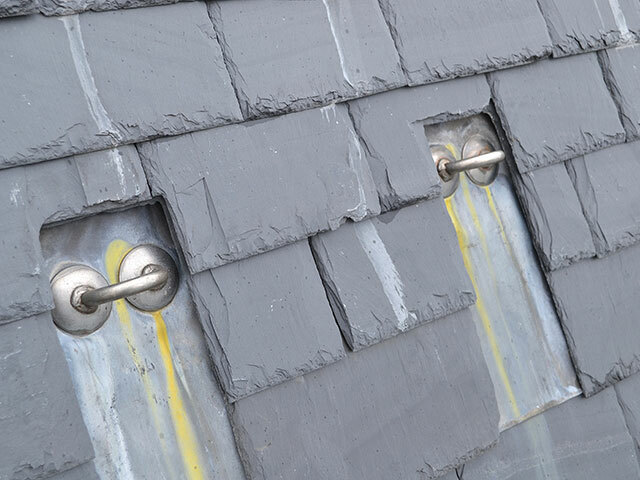 While the project comprised mostly large roof areas, SIGA 120s really came into their own when slates were applied to vertical ventilation towers where accuracy is key. Choice of building materials to meet environmental considerations forms part of GKC’s policies on sustainable development. 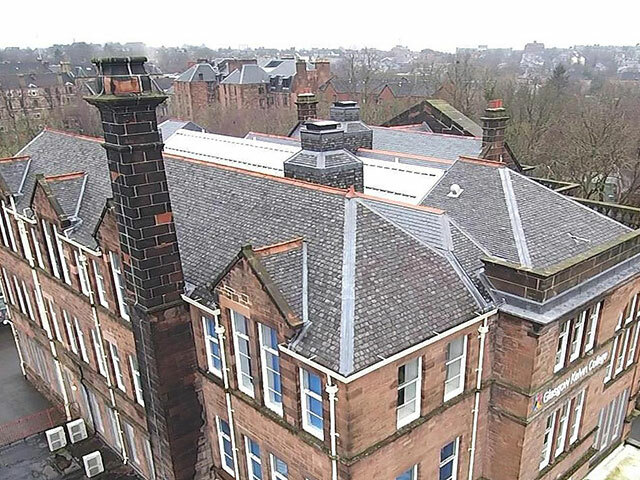 Today, Kelvin College has a beautiful new roof which retains the diminished courses of the original roof and preserves the historic charm of the building whilst complementing the contemporary design of other buildings on the campus.